Boeing 777X model during wind tunnel testing. Boeing has commenced low-speed wind tunnel tests for its 777X aircraft. 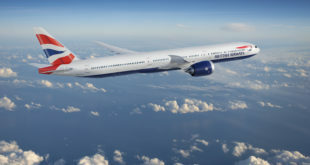 Testing is being performed on a 5% scale model of the baseline 777X, measuring about 4.22 meters (166 inches) long with a wing span of 3.92 meters (154 inches). 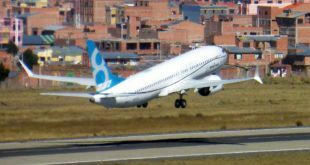 Hundreds of sensors are embedded in the model to measure pressure to determine the in-flight loads as well as provide valuable diagnostics of the aerodynamic performance of a given design. These tests will measure airplane performance with a variety of settings to simulate take-off and landing conditions. 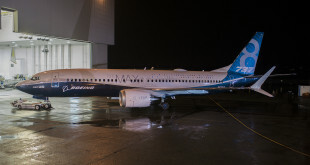 This is the first major milestone in airplane development, which validates performance models and generates a vast amount of data that Boeing’s engineering teams will use to design the airplane as development progresses. Testing started on December 5th at QinetiQ’s test facility in Farnborough, United Kingdom, and is expected to last approximately five months. 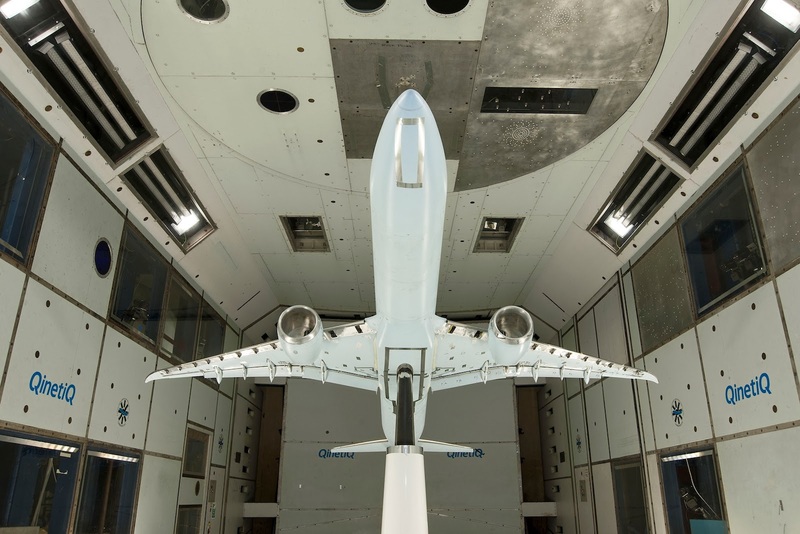 Testing also will be conducted next year at the Boeing Transonic Wind Tunnel in Seattle to further validate 777X high-speed performance projections. Boeing indicates its on track to complete the top-level design in 2014 and reach firm configuration in 2015.